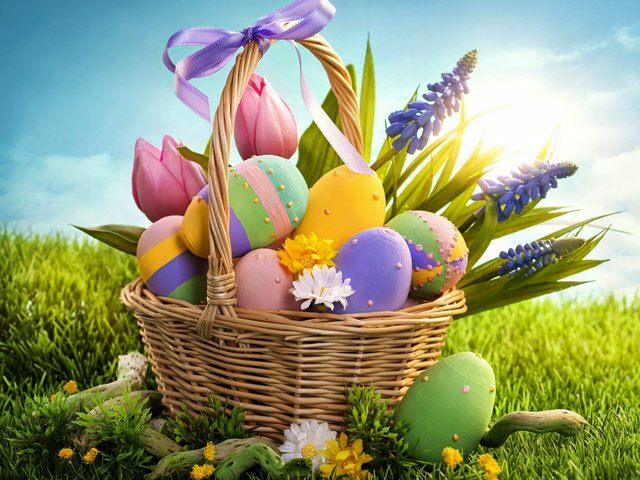 Beautiful wallpaper with colorful Easter eggs and spring flowers in a wicker basket on a sunny meadow with green grass. The celebration of Easter has its Pagan roots, related to the spring equinox, which for millennia was an important holiday in many religions, marking the end of winter and beginning of spring, the season of the rebirth of life. Enjoy this wonderful holiday together with your loved ones.